The Brazilian has played in 99 cup games for Liverpool – 18 FA Cup, 24 League Cup and 57 in Europe. 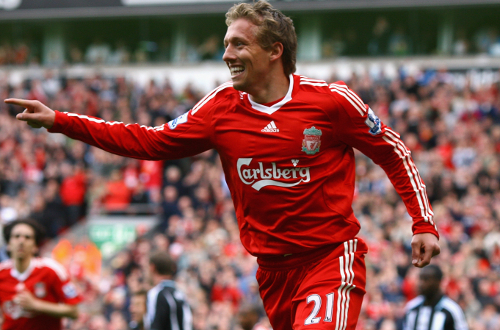 The team Lucas has faced most often in his Reds career is Chelsea (19 times), closely followed by Everton (17). He has scored seven goals for the club, with three coming in Europe, two in the FA Cup and one each in the Premier League and League Cup. His only league goal so far came against Newcastle United on May 3, 2009 in the 87th minute. He had been on the pitch for only eight minutes following his introduction as a substitute. When scoring at Plymouth Argyle in the FA Cup in January, he ended a drought of 200 games for the club without finding the net. He has captained Liverpool 14 times in his career, with eight of those coming during the 2015-16 campaign and five more this season. 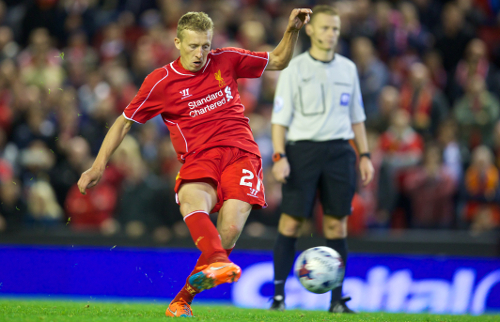 Lucas has shared the pitch with 120 different Liverpool players during his time at Anfield. His best season for appearances came in 2009-10 when he played 50 times, making 46 starts and a further four as a substitute. 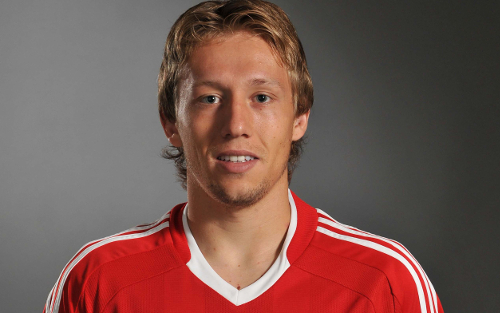 Lucas' most profitable season for goals saw him score three times in 2008-09. At this time, he has played 17,323 minutes of league football. Only 10 players have spent more time on the pitch for the club in the Premier League era. Two of his goals have come as a substitute – against Newcastle in 2009 and Steaua Bucharest the following year. The latter came within two minutes of the No.21 entering the field of play. He has been sent off twice – at Everton in the FA Cup in 2009 and at Stoke City in the Premier League in November 2010. He has taken four kicks for Liverpool in penalty shootouts, scoring three times. Only Adam Lallana has taken more for the club in a shootout. 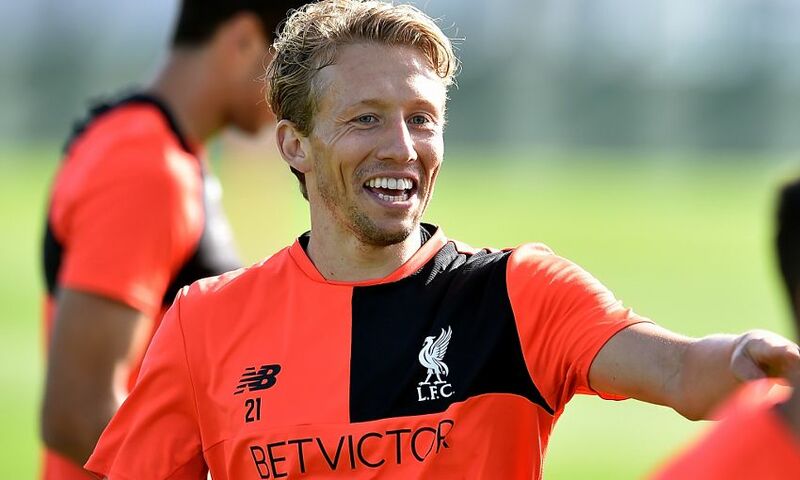 Lucas has played for the Reds under five different managers – Rafael Benitez, Roy Hodgson, Kenny Dalglish, Brendan Rodgers and Jürgen Klopp. Only Jamie Carragher has played for more in the club's history. He holds the record for most consecutive league appearances in the No.21 shirt (30). He is one of only nine players to have played more than 30 games for the club in the UEFA Cup/Europa League. 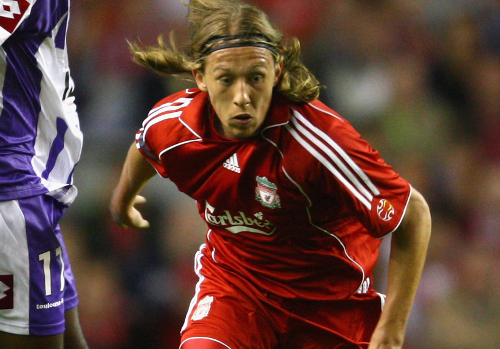 Only two overseas players (Sami Hyypia and Pepe Reina) have played more Premier League games for the Reds than Lucas. His 245 appearances put him sixth on the club's list. His debut came in a 4-0 home win over Toulouse in a Champions League qualifier in August 2007, as a substitute for Momo Sissoko. In 2008, he was part of the Brazil squad that won a bronze medal at the Olympics. He was sent off in the semi-final defeat by Argentina for a foul on then Liverpool teammate Javier Mascherano and was therefore suspended from the bronze medal match. He was the second Brazilian to play for Liverpool after Fabio Aurelio, who joined a year earlier in 2006. His first Liverpool goal came in a 5-2 FA Cup win over Havant & Waterlooville at Anfield in January 2008.